Dec. 12, 2017 - Earlier this year, the Wood Pellet Association of Canada Safety Committee (WPACSC) created a new safety working group – the Wood Fibre Storage Working Group (WFSWG) – to facilitate the development of proposed guidelines to assist employers in understanding and assessing the hazards and options for storage and infeed processes along with risk mitigation strategies and assessment. This work follows on from the success that the Manufacturing Advisory Group (MAG) and WPAC have had in working the dust mitigation and management files for sawmill and pellet mill operations. 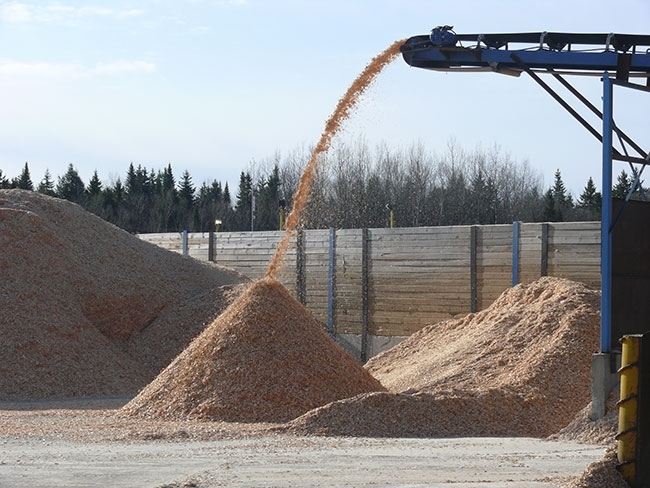 According to WorkSafeBC, as documented in its report: Sawmill Locations, covering 2016’s combustible wood dust inspection initiative, industry’s combustible wood dust management programs are effective and sustainable, with a compliance rate of 98 per cent. Following the two mill explosions in 2012, the forestry manufacturing industry made significant investments in new technology, processes and training to better manage combustible dust and have focused on continuous improvement measures. These investments have helped industry achieve high levels of compliance during inspections by their own teams and by the regulator, WorkSafeBC. Maintaining excellent compliance rates requires disciplined, dedicated actions each and every shift with zero capacity for compromise. To this end, combustible dust has been a standard component of employee training for MAG and the wood pellet industry members, ensuring that anyone working in or around potential areas with combustible wood dust is able to recognize potentially unsafe conditions, take appropriate actions, and develop and implement effective controls. The BC Forest Safety Council (BCFSC), the Manufacturing Safety Alliance of BC (MSABC), BC Technical Safety (formerly the BC Safety Authority) and WorkSafeBC also partnered on a comprehensive combustible dust employer education program. The program’s goal is increasing awareness and education among employers, workers, and contractors in safely managing combustible dust levels. In prior years the education modules were housed on the Fire Inspection and Prevention Initiative website and have since been transitioned to the BCFSC in 2017. This free training is relevant to all participants in the wood manufacturing sector. The three online training modules for employers, workers and contractors can be found at www.bcforestsafe.org/node/2961 along with additional information on combustible dust mitigation in the wood manufacturing industry. For pellets specifically, wood fibre storage location and choosing the right type of storage under the right conditions (open versus enclosed) for the right product is an area where industry wants to establish some commonly accepted best practices to further enhance safety. Outline WorkSafeBC’s inspection and compliance approach to the storage of wood fibre in buildings and structures intended for that purpose. The members of the Wood Fibre Storage Working Group are: John Stirling, Princeton Standard Pellet Corp.; Steven Mueller, Pinnacle Renewable Energy; Darren Beattie, Conifex; Charlie Tutt and Barry Nakahara, WorkSafeBC; and Dustin Meierhofer, BCFSC. The significant progress and tangible improvements that have been made on effective dust management and mitigation have only been possible thanks to the commitment of industry leadership and the dedicated work of employers, contractors, workers, unions and other stakeholders to ensure the hazard of combustible dust is being managed. We all share one common goal: getting workers home safe at the end of the day. Rob Moonen is the CEO of the BC Forest Safety Council.